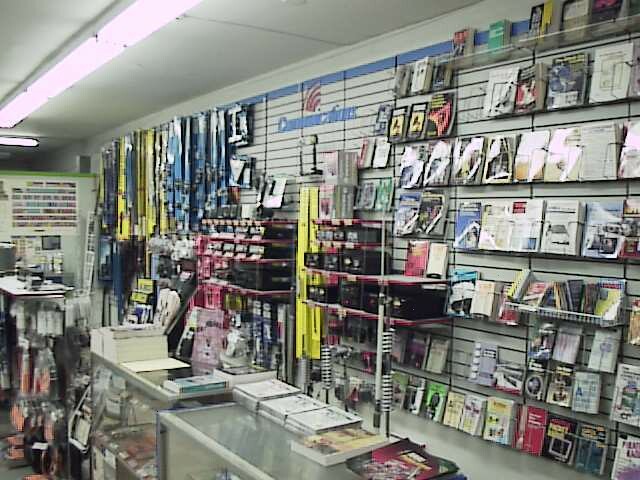 NJ Amateur Radio, Scanner Radios & CB Dealer - Advanced Specialties, Lodi NJ - Yaesu. NJ 's Authorized Amateur Radio Equipment, Scanner & CB Dealer. Yaesu, Uniden, ANLI, Comet, MFJ, BearCat, President, Whistler, Cobra & Many Popular Brands. If you are looking for Ham Radio tranceivers, Wide Frequency Scanning Receivers ( Radio Scanners, Police Scanner ) or Citizens Band Equipment (CB), and Accessories, This is the Place!! Also keep up with the Latest Industry & Hobby News & Info in our "What's New" section! Mounts and Cable! ALL You Need In Our Online Catalogs - WOW!! and much more, many on display! Check for Our Lowest Price, & SEE Some of the Latest Amateur ( Ham ) & Hobby Radio Gear in our Secure OnLine Catalogs, Including The YAESU FT-70DR, FT-4XR, A SCANNER World of Receivers, The Bearcat SDS100, BCD-536HP, BC-125AT, BCD-436HP, BCT-15X, Home Patrol II, Whistler TRX-1 and TRX-2 Digital APCO, DMR & PL/DPL frequencies Scanners! See the Powerful Uniden Digital Radio Scanners SDS100!! Ham Rigs such as the Dual-Band Yaesu FT-4XR, Digital FT2DR, & TriBand VX-6R Submersible HT's, & FT-2980R, FT-60R, FT-857D, FT-70DR, FTm-100DR, FTM-7250D and FT-450D! 2 Meter Radios! HF, Two Meter, VHF, UHF & 220 Mhz Equipment. Water/Dustproof Handhelds too. High Performance Gain ANLI, Procomm, Comet, Hustler, Tram, Browning, Opek, K40, Wilson, Astatic, OPEK & Maldol Antennas. Also, Even Hard to Find Mobile & Desktop CB Base Station Radios, Including the Galaxy DX-2547 Base SSB set, DX-979F, DX-929 & DX-959 Mobiles, MIdland 5001Z, Uniden 980SSB, 880, Cobra 148GTL, 29LX & President CB & 10M Radios are here Too!! Hard to find MH-255 sma Antenna, MH-510 , HT-55, MH-209, AH-W100RX antennas! Universal Radio Pedestal & Bracket Mounts, Scanner accessories, Enter the best Secure Internet Online Catalog Below, to See our Lowest Discount Prices, & check back often for price & equipment Updates!! Feel free & call to check for items not listed. to Friday from 10 AM to 5:00 PM, and Saturday from 10 AM to 2 PM Eastern. We are closed on Sundays, Mondays and Most Holidays. The SSL Secure OnLine Catalog is Open 24/7!! * ROADPRO * WAVEHUNTER & MORE!